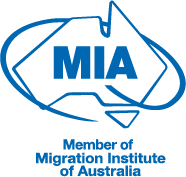 I want to know how to immigrate to Australia - where should I start? If your visa application is not approved, you may be able to have the decision reviewed. An immigration lawyer or RMA can help you determine the best course of action. Pathway Lawyers & Migration Agents has advisors who are uniquely both RMAs and lawyers, so we are best placed to help you with each and every aspect of your move to Australia. Get in touch with our advisors to see how we can assist you. Older PostWhy should I use a migration agent? Can I do my visa application myself?